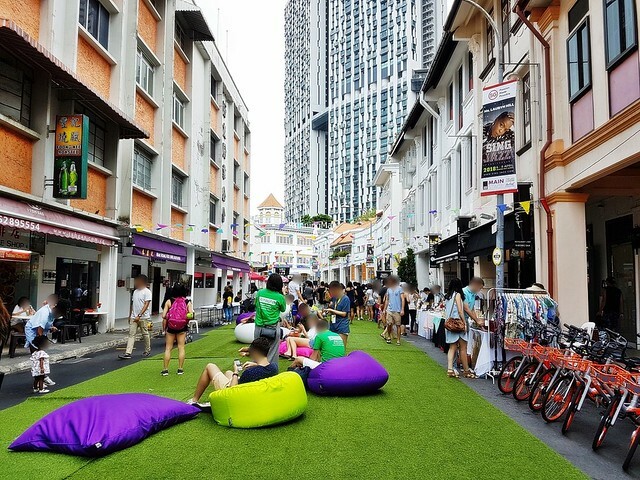 Attended with representatives from Purple Taste, and SG Food On Foot. Attended with representatives from Chubby Botak Koala, Purple Taste, Her Pen And Fork, Jelly Love Fats, Little Tiny Sun, msginginly, and Epicurious Caniggia. Attended with representatives from High Net Worth, Chubby Botak Koala, Purple Taste, Jelly Love Fats, and Fundamentally Flawed. Attended with representatives from HungryGoWhere, Jelly Magically, Shauneeie, SG Cafe Hopping, Shoot And Spoon, Food Gem, and Daniel Food Diary. This was an invited media review. Free and open to public. Attended with representatives from X Clarie Acacia Teo. The former penal colony outpost of Hobart has experienced both booms and busts over its long history. As the financial and administrative heart of Tasmania, the city now serves as the main port for Australia operations to Antarctica. The city is famed for its vibrant arts and cultural scene, as well as its ample natural beauty. 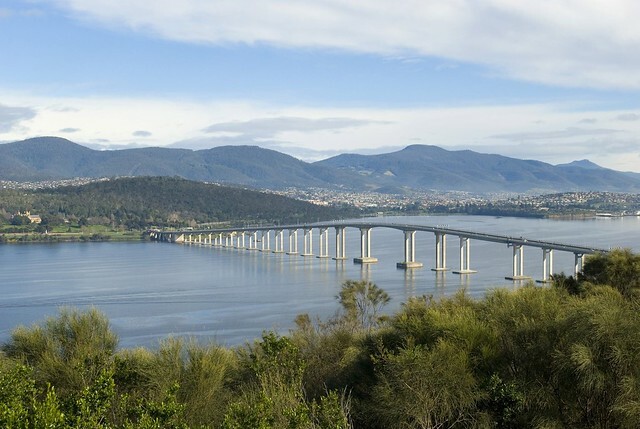 Here are the Top 5 Tourist Attractions to visit in Hobart, all of which hold important cultural or historical significance. All these are permanent locations which can be visited and viewed at any time throughout the year. 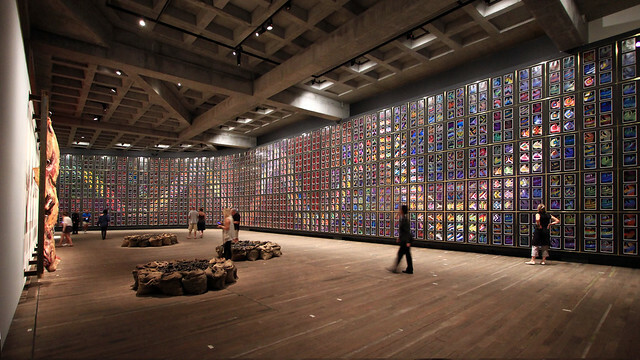 Described as a 'subversive adult Disneyland', the Museum Of Old And New Art (MONA) in Hobart is the largest privately funded museum in both Tasmania and Australia, housing over 400 antique and modern contemporary art pieces from eccentric millionaire David Walsh's private art collection. Delighting in the controversial, macabre, fun, or attention-grabbing, the museum is intentionally whimisical and ominous, its pieces evoking strong emotions. Highlights include the 'Cloaca Professional' by Wim Delvoye, a machine which turns food into excrement; or 'Snake' by Sidney Nolan, a giant Rainbow Serpent mural made from 1,620 paintings. 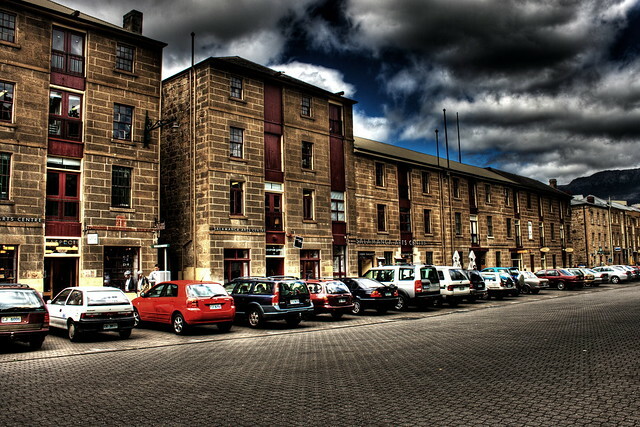 The precinct of Salamanca Place in Hobart, Tasmania, Australia, has a lot of history in its rows of sandstone buildings. 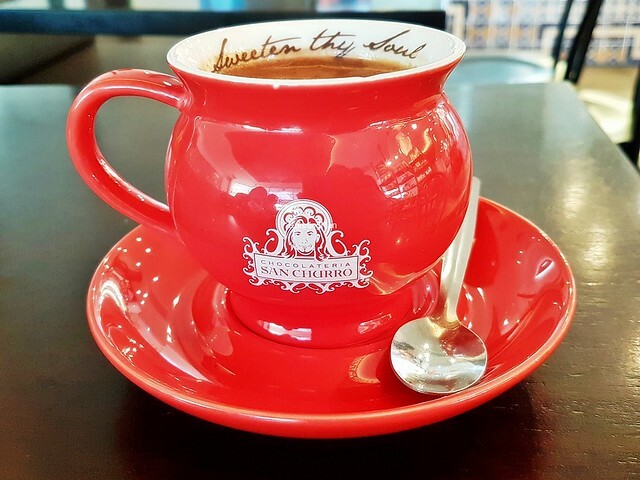 The picturesque former port warehouses of the area are classic examples of Australian colonial architecture, and have been converted into galleries, restaurants, and shops, making the area a popular nightlife spot. Families will enjoy the sheltered Salamanca Square, a public area with a centerpiece fountain and lawns, ringed by shops and cafes. The well-weathered 1839 Kelly’s Steps is a notable landmark, and every Saturday morning till early afternoon, the vibrant Salamanca Market attracts crowds with its over 300 vendors. Officially known as Kunanyi, but more commonly known by its unofficial name of Mount Wellington, this mountain in the southeast coastal region of Tasmania, Australia, rises to 1,271 metres above sea level. 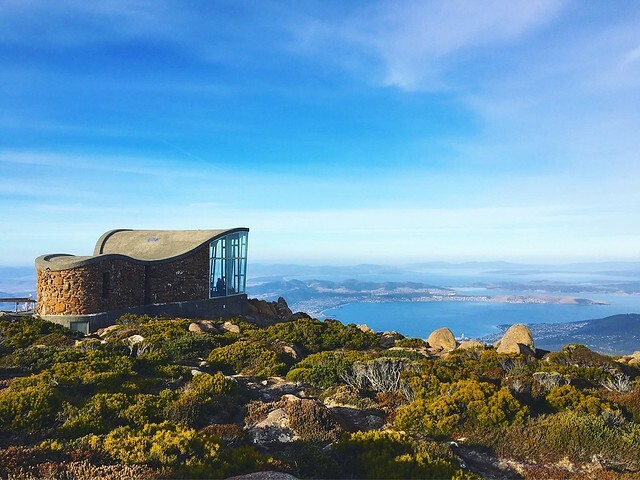 It offers spectacular views from its summit, including the city of Hobart below, the Derwent estuary to the east, and the Tasmanian Wilderness World Heritage Area to the west. Part of the natural beauty here is a result of the peak rising above cloud level, allowing you to look out over the clouds and the city. At night, the twinkling lights of the city below are just as mesmerising. 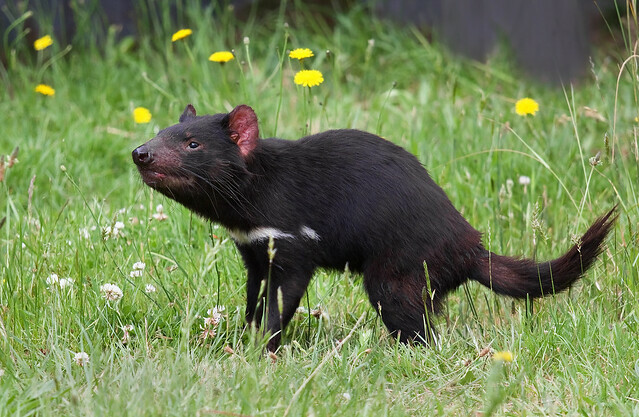 The Taranna Wildlife Park is better known as the Tasmanian Devil Unzoo Conservation Park, a 4-in-1 nature experience that combines up-close animal encounters, wildlife adventures, a Tasmanian native botanic garden, and Tasmanian original artwork galleries. An hour's drive from Hobart, Tasmania, Australia, the highlight here is to see the endangered Tasmanian devils in 4 unique habitat areas, as well as the Birds Of The Bush show which features galahs, corellas, and more. The Derwent River in Australia is practically unmissable, as it flows right through the city of Hobart. As the 2nd longest river in Tasmania, it is widely used for recreation, boating, fishing, marine transportation, and industry. Views of sunrise and sunset over the river are spectacular, and the iconic bridges that connect the shores, such as the Tasman Bridge or Bowen Bridge, are themselves attractions, being brightly lit at night. 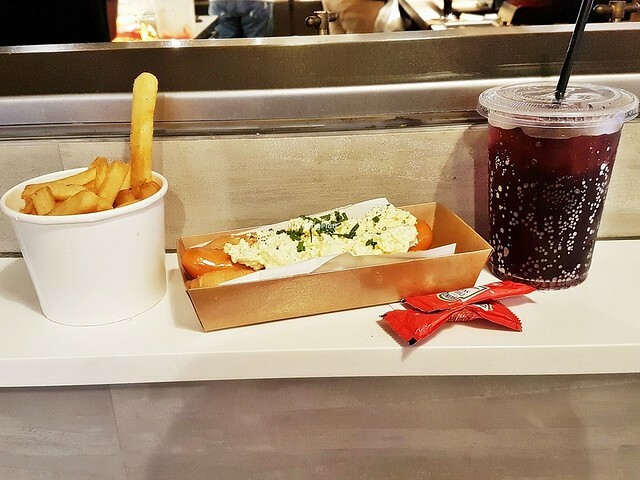 Hobart Street Food is largely influenced by British English cuisine and cooking styles, because Australia formerly was a colony of the United Kingdom. 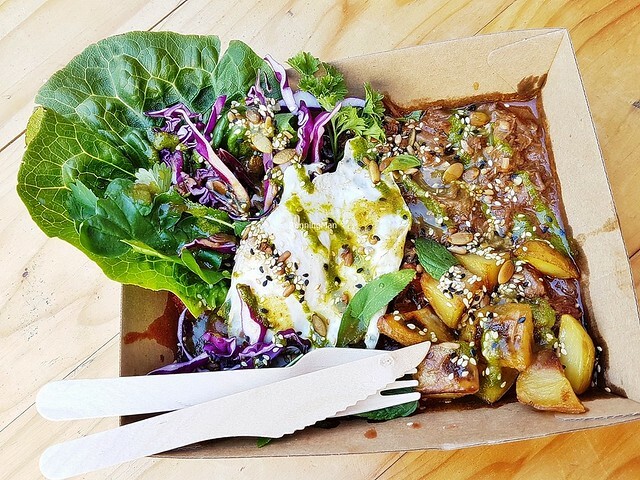 Being more cosmopolitan in nature than other places in Tasmania, Australia, there is a greater variety of international cuisines in Hobart, such as Vietnamese, Chinese, Indian, German, Greek, Italian, Spanish, American, Cuban, and Mexican cuisines. 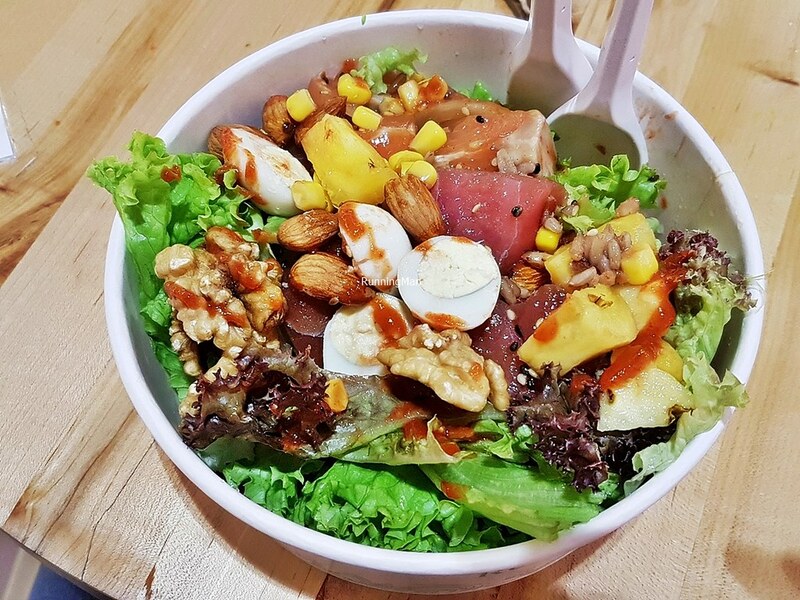 Locals tend to enjoy Modern European cuisine, and there is a budding cafe culture here. Food in Hobart is typically found in individual restaurants and cafes. Restaurants and cafes tend to be clustered within an area, typically streets with high traffic. Common ingredients used here include beef, chicken, lamb, fish, prawn / shrimp, oyster, squid, crayfish, lobster, milk, cheese, honey, artichoke, bean sprouts, broccoli, cabbage, cauliflower, cucumber, leeks, asparagus, lettuce, tomato, onion, mushrooms, peas, rhubarb, zucchini, squash, eggplant / aubergine, spinach, corn, apples, bananas, oranges, pears, strawberries, cherries, plums, nectarines, apricots, grapes, pineapple, raspberries, bread, noodles, white rice, potatoes, yoghurt, butter, and more. 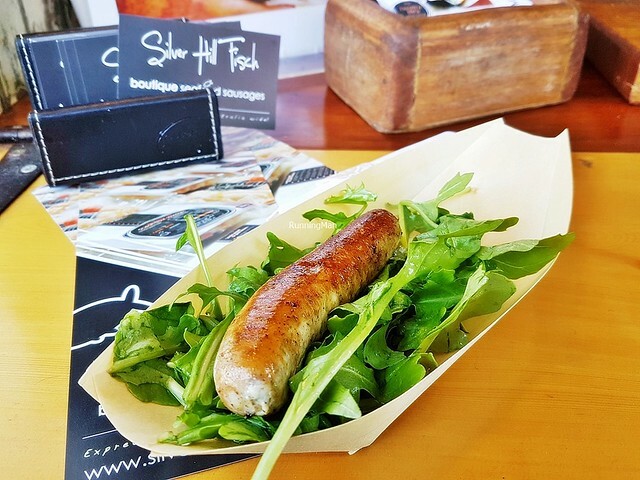 Tasmanians pride themselves on the freshness and quality of their local produce, and you'll get some of the freshest food in Hobart. 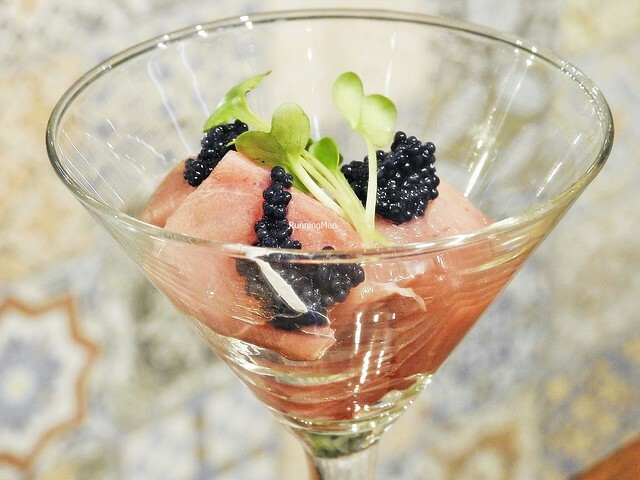 The prevalent culture is farm-to-table, and chefs across the city take advantage of the unique circumstances here by offering a lot of seasonal dishes. 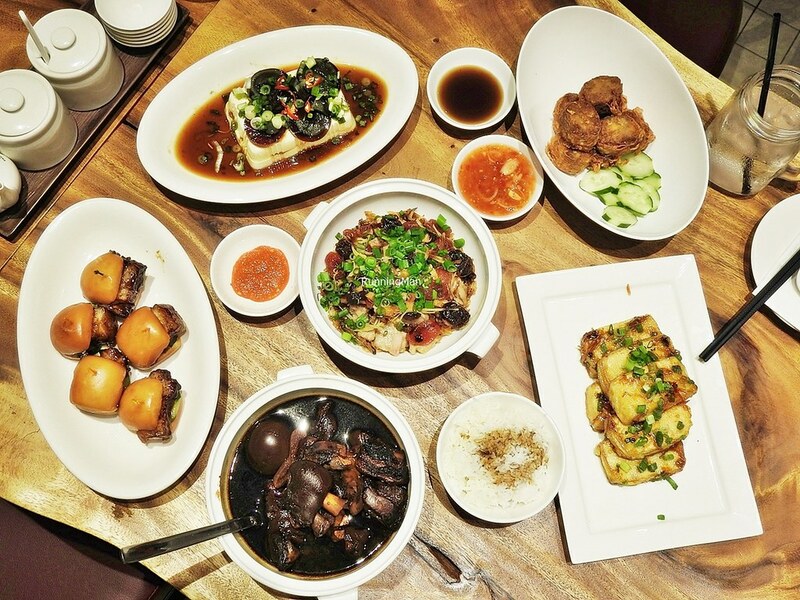 Despite the laidback atmosphere, the city is gradually gaining recognition as a gastronomic hotspot. All beef produced for consumption in Tasmania is free from antibiotic and hormone growth promotants, with nearly all cattle being grass-fed. This makes Mexican inspired dishes, such as the Beef & Egg, really tasty. 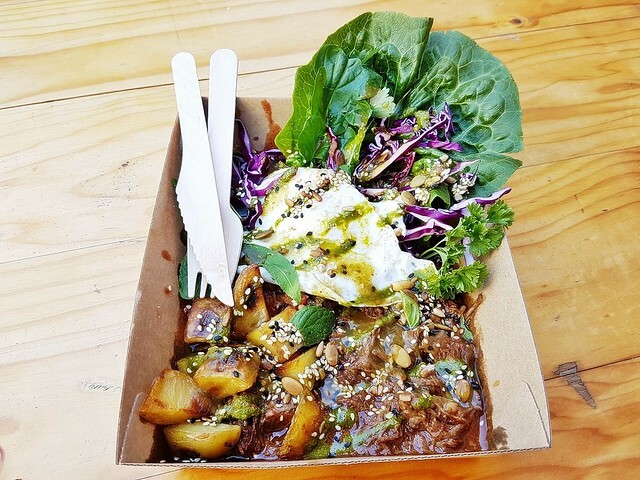 The strips of sauteed Australia beef are thinly sliced, tender, and savoury salty, pairing well with the fresh vegetal sweet herbal flavours of the salad, which includes white onions, purple cabbage, lettuce, parsley, mint leaves, bell peppers / capsicum, sauteed potatoes, and coriander. Completed with a sunny side up egg and a rich, luscious, beef meat gravy. 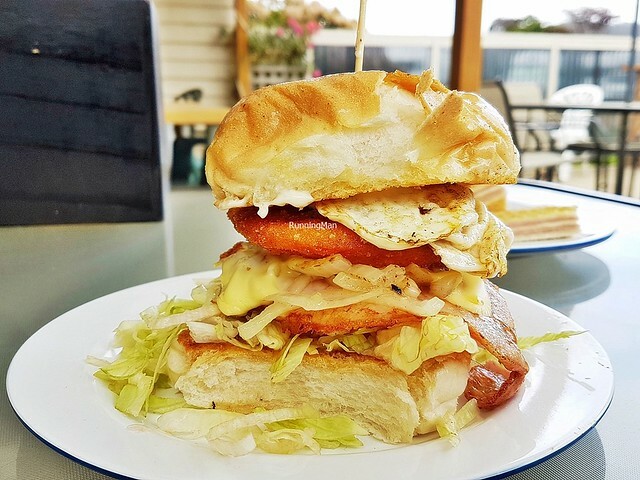 This is a popular dish in Hobart. 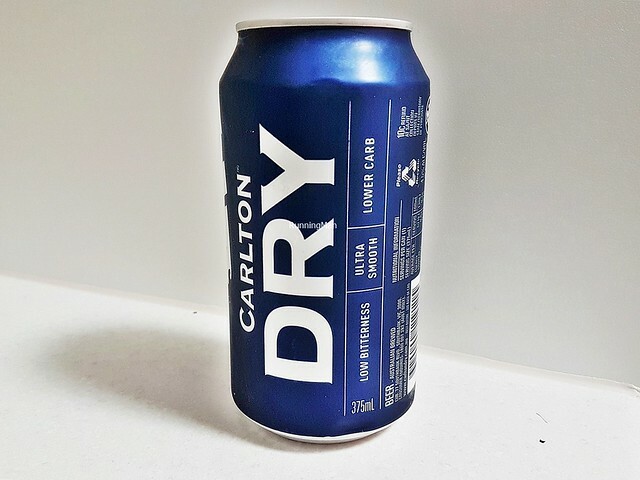 The Beer Carlton Dry is an Australian pale lager, brewed by Carlton & United Breweries (CUB) in Abbotsford, Melbourne, Victoria, Australia. 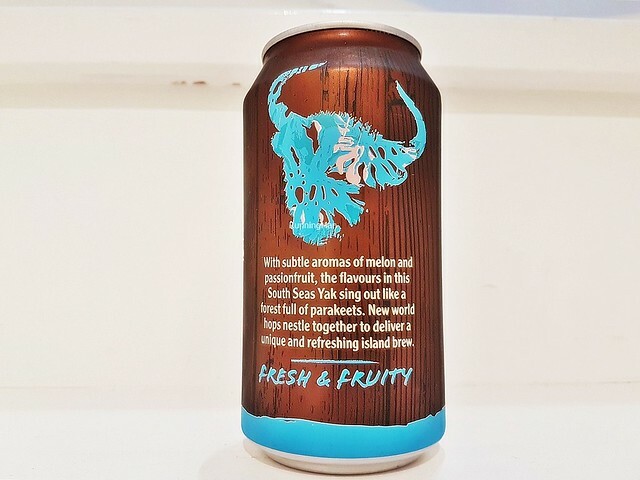 It has a light, bright golden yellow colour, with aromas of hops, cotton candy floss, lemon, and detergent. The body is thin, dry, and flat, with tastes of malt, wheat, soap, and cardboard. Very faint sweetness and bitterness, almost bland, which makes it easy to drink but not very tasty. Quick drop-off at the finish. 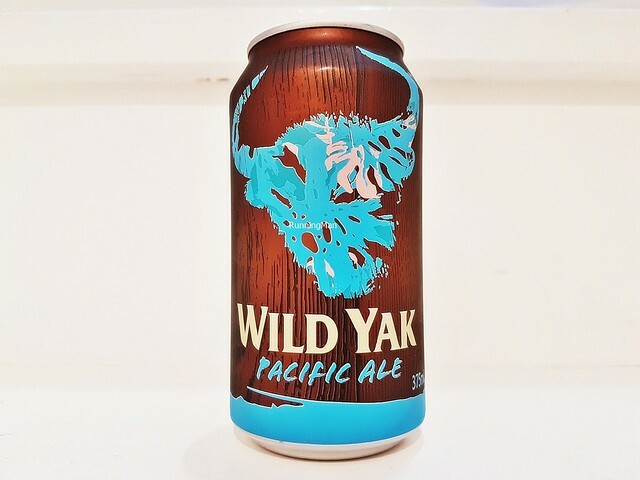 The Beer Wild Yak Pacific Ale is an American style pale ale, brewed by Matilda Bay Brewing Company in Fremantle, Western Australia, Australia. It has a hazy, dark bronze golden colour, with aromas of toffee, grass, biscuit, and passionfruit. The body is light, thin, and watery, with moderate carbonation, and tastes of hops, wheat, peach, and honeydew melon. 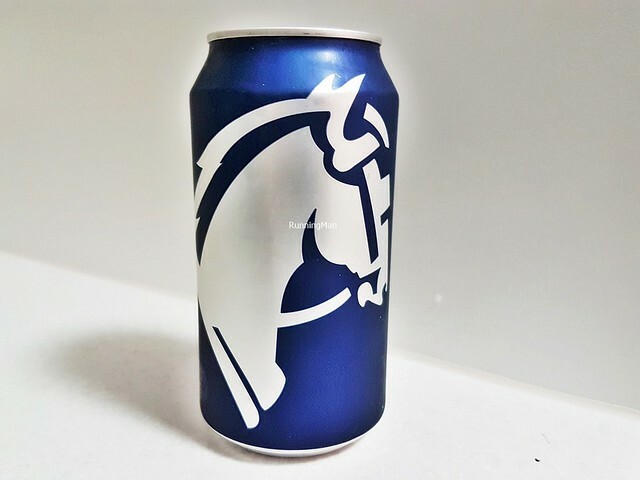 Nicely refreshing with its delicate fruity sweet flavour that has a hint of bitter, but the finish has a metallic undertone that quickly fades. 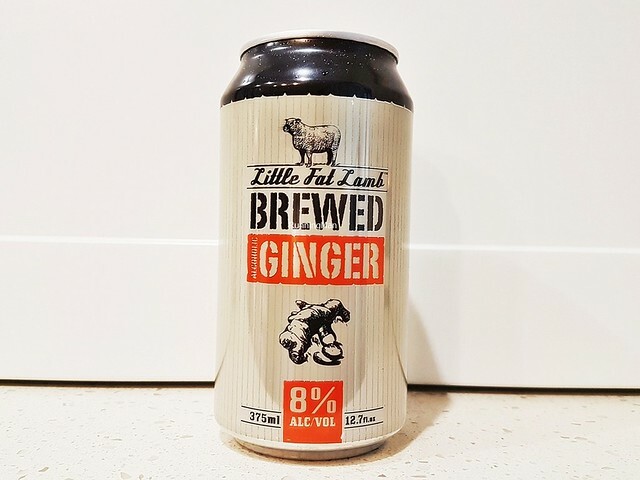 The alcoholic Cider Little Fat Lamb Brewed Ginger Beer is a fruit / herb cider made using sustainably sourced local ingredients, brewed by Drink Craft Pty Ltd in Mount Kuring-Gai, Sydney, New South Wales, Australia. It has a hazy, dull amber orange colour, with aromas and tastes of ginger. The body is light and lively, bold sweet spice flavours on the palate. I like this refreshing summer beverage. 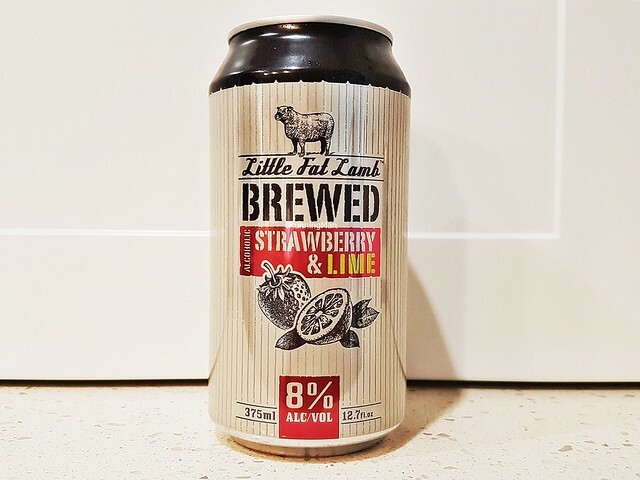 The alcoholic Cider Little Fat Lamb Brewed Strawberry & Lime Beer is a fruit / herb cider made using sustainably sourced local ingredients, brewed by Drink Craft Pty Ltd in Mount Kuring-Gai, Sydney, New South Wales, Australia. It has a clear, dull amber red colour, with aromas and tastes of strawberry and lime. 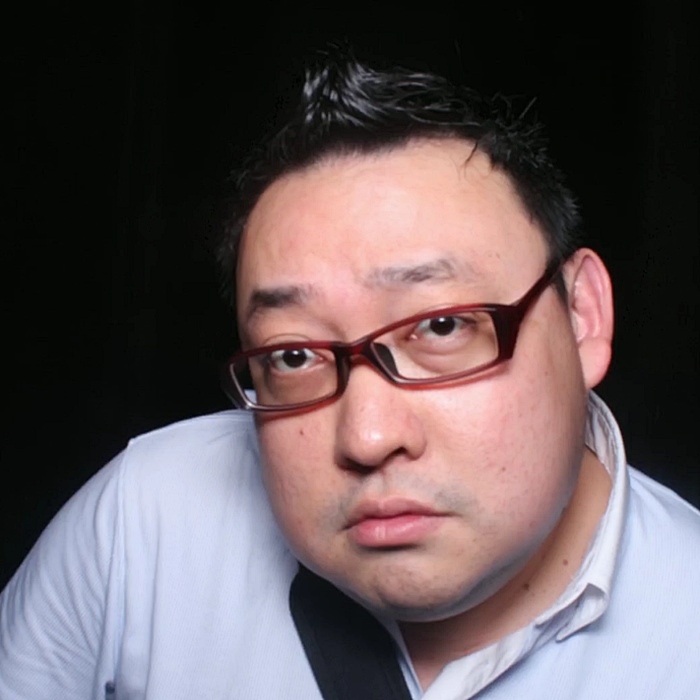 The body is light and lively, bold sweet sour flavours on the palate. I like this refreshing summer beverage. 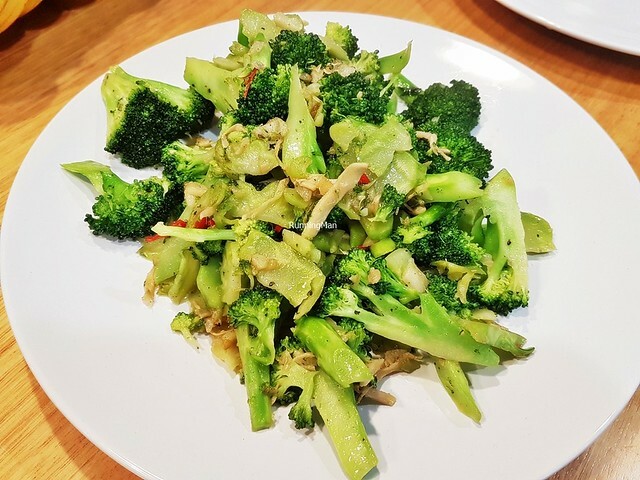 The hardy Broccoli is a common vegetable here, but it's mostly used by the European communities to make soups., or by the Asian or Pan-Asian communities for stir-frying. Has a crunchy texture with a vegetal grassy flavour. The Chicken Burger is an uncommon American inspired dish, featuring fluffy soft burger buns that sandwich breaded chicken fillets which are tender, moist, and savoury sweet in flavour. Vegetables normally include either lettuce, tomato, or white onions, while optional add-ons include bacon, egg, and cheddar cheese. Dressed with either mayonnaise or tomato ketchup. Typically served with fries on the side. 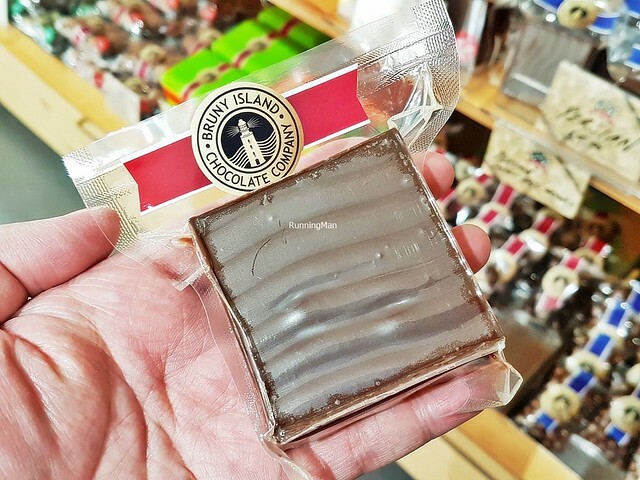 Throughout Australia, the state of Tasmania is reowned for the quality of its butter and chocolate, leading many confectionery brands to be based in Hobart. As a result, the Chocolate Fudge here is among the best you'll get, rich and creamy smooth in texture, big on sweet chocolate flavour. Beside White Chocolate, Dark Chocolate, and Milk Chocolate flavours, there are many other variations, including caramel, peanut butter, butterscotch, versions with nuts (walnuts, almonds, macadamia nuts, hazelnuts, cashew nuts, pistachios), spices / herbs (cinnamon, chili, peppermint), or versions with dried fruit (raisins, apples, oranges, strawberries, blueberries, lemons). 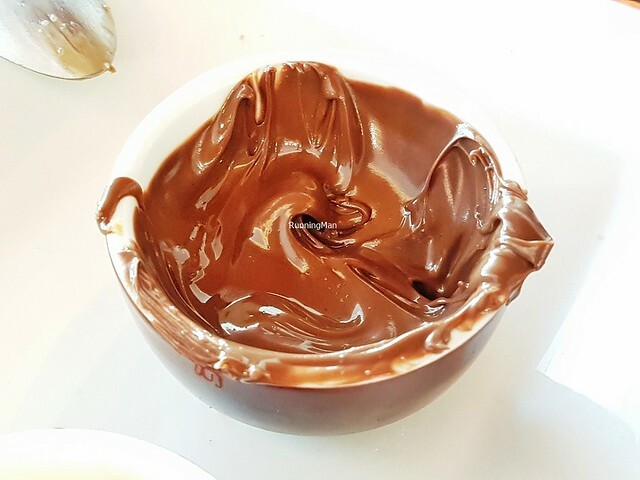 The Chocolate Hazelnut dipping sauce is served alongside desserts, and is rich and creamy smooth in texture. 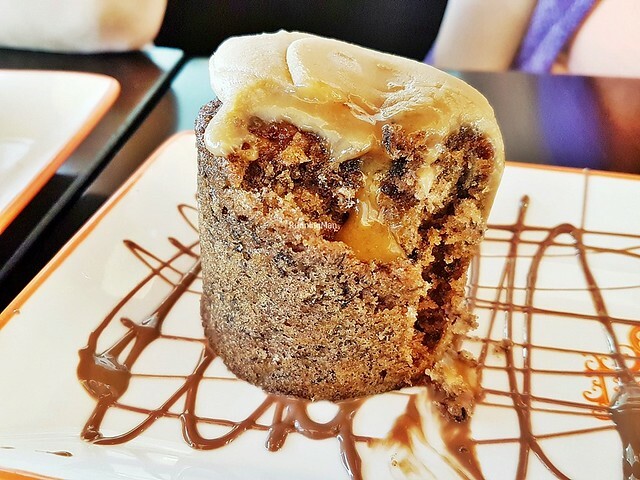 Bold sweet nutty flavour, makes you crave more. 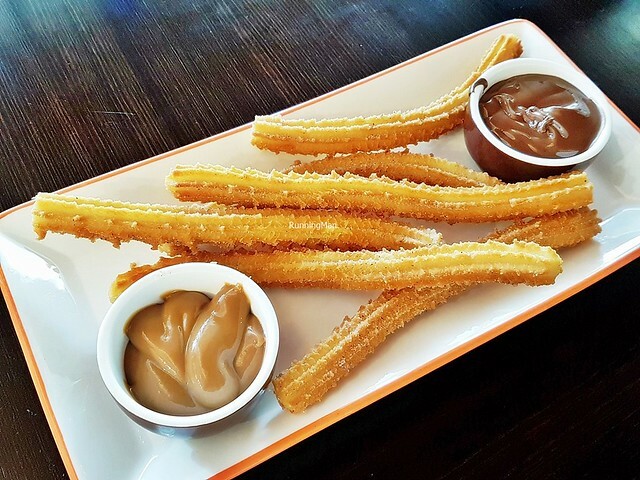 The Spanish and Mexican dessert of Churros is common in the city, and locals enjoy it with dipping sauces. 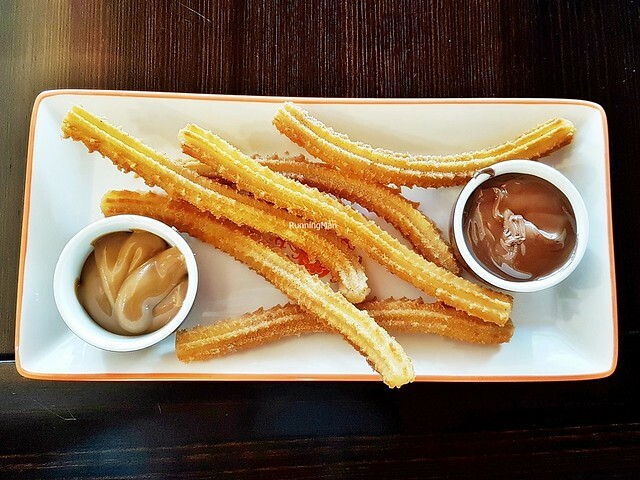 Hot and freshly fried to order, these are usually coated in cinnamon sugar, with a crisp exterior and a soft interior texture. Greater sweet flavour on the palate, with a tad savoury flavour underneath. 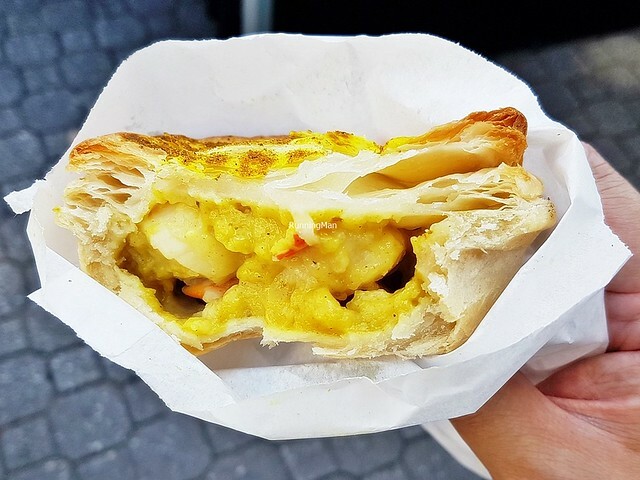 The unique Curry Scallop Pie is a regional speciality here, due to the ready availability of fresh scallops. 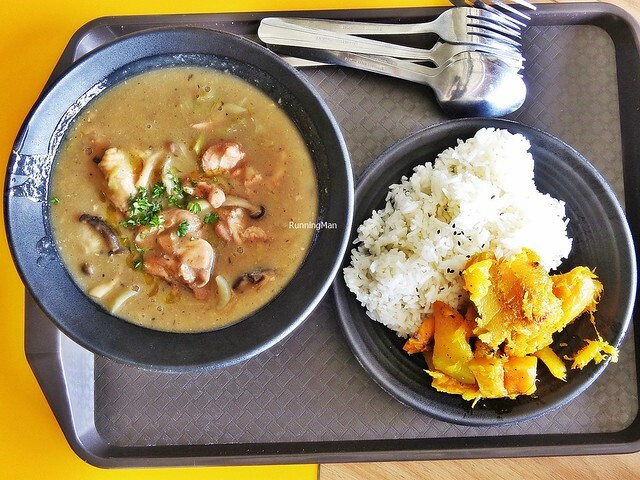 This signature dish features tender juicy morsels of sweet savoury scallops, mixed with potatoes, onions, and carrots, in a mild savoury sweet spiced turmeric curry gravy. 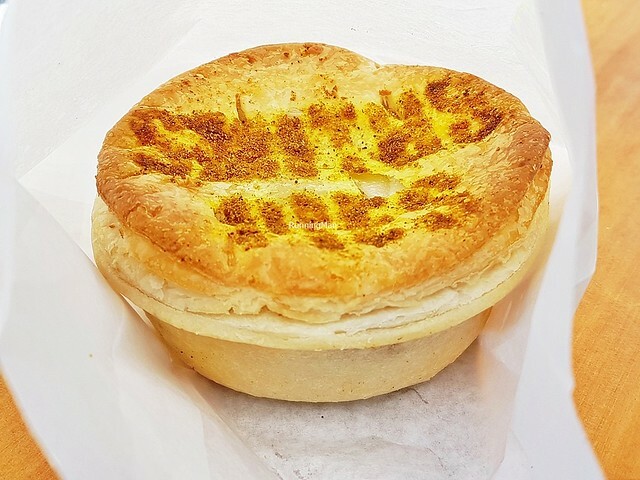 Served within a crumbly pie pastry crust that is nicely butter glazed. More elaborate versions also include peas, corn kernels, or broccoli. 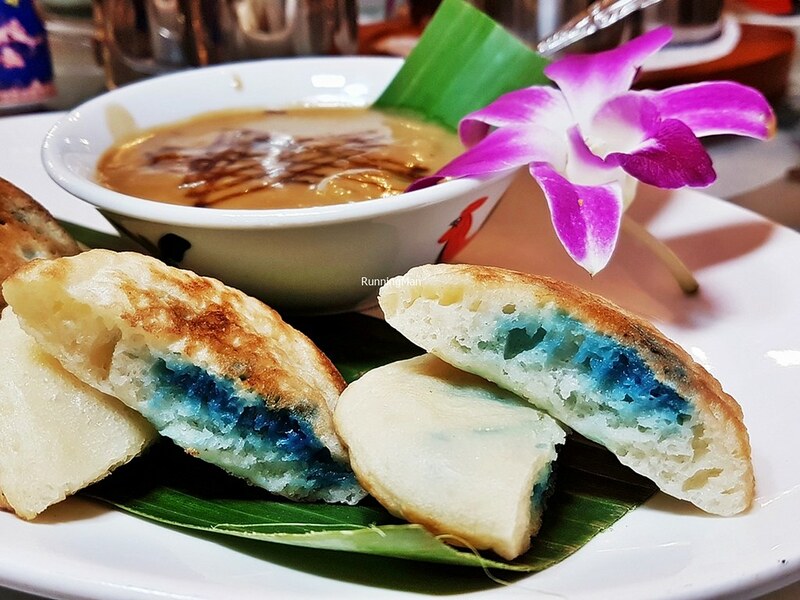 Usually eaten as a light meal or a snack, it's commonly sold in most cafes here. Taking after the Chinese inspired appetizer / tapas / snack of Dim Sum Siew Mai / Pork And Prawn Dumpling, the Aussie take is the Dim Sim Beef. Yes, that's how it's spelt and pronounced here. 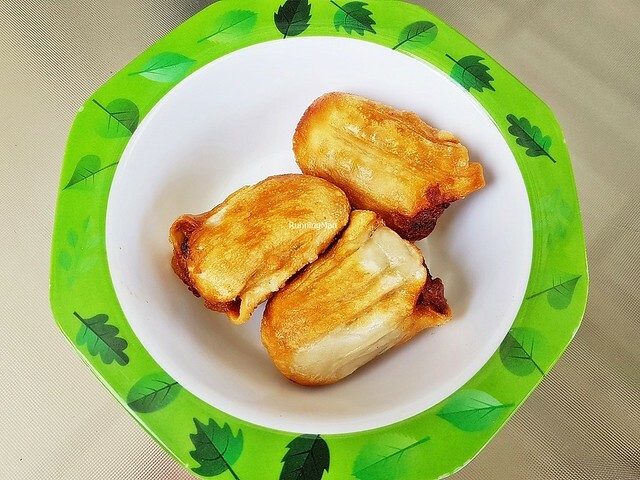 These fried dumplings have a thin, crisp pastry shell, which cracks to reveal the mixture / stuffing of moist minced beef and crunchy cabbage within. Good savoury salty flavour with a hint of sweet flavour on the palate. 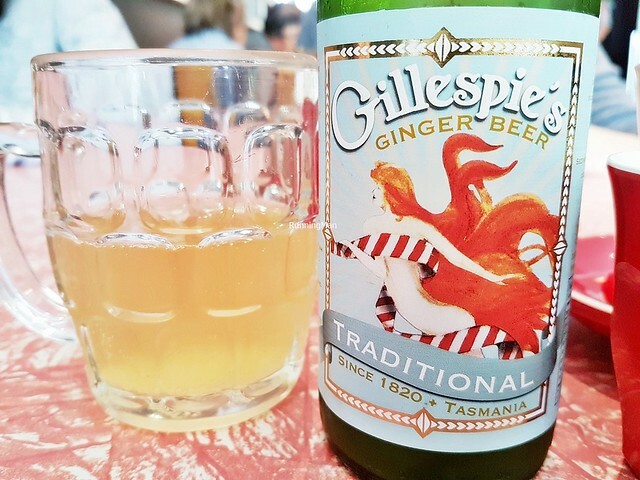 The Gillespie's Ginger Beer is a craft beverage made from a family recipe handed down over 4 generations. It's made with natural filtered rainwater, organic fresh ginger, Tahitian lime, lemon, native Tasmanian pepper berry leaf, yeast, and sugar. This gives it a sweet spice flavour, and the mouthfeel is thin and fizzy. Only 4,500 bottles are made weekly, so it's difficult to find this outside of the state, or even within mass market stores here. 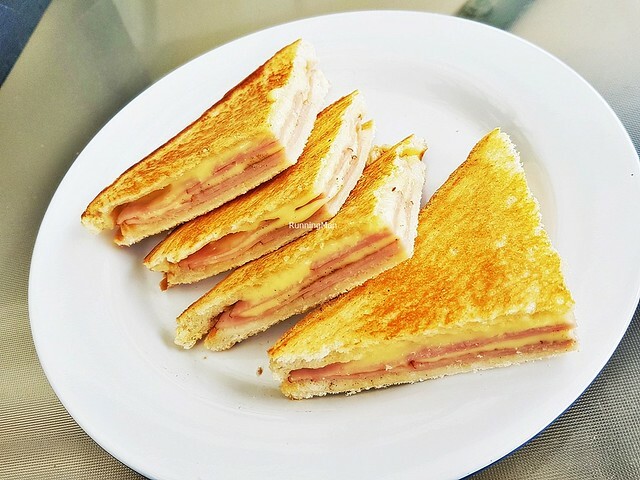 A straightforward Ham & Cheese Sandwich, with crisp toasted and buttered white bread, thin slices of savoury salty ham, and gooey cheddar cheese. 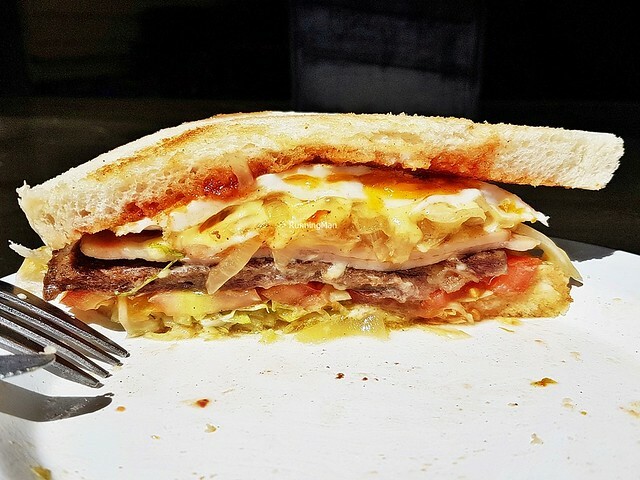 Classic breakfast / brunch sandwich or a good snack. 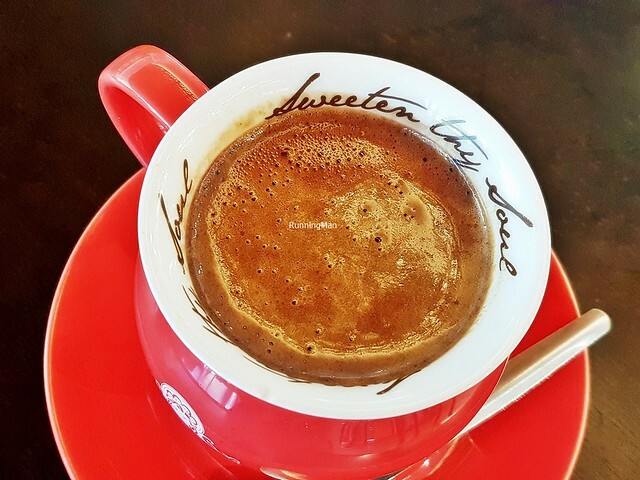 The Hot Chocolate here is rich and creamy sweet, warming and filling. Perfect for cold or windy days. 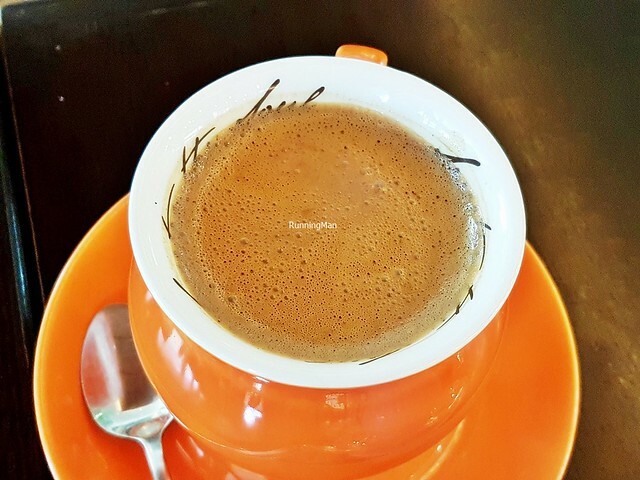 For a more decadent version, the Spanish Hot Chocolate, Madrid Style is even more sweet, chocolatey, and luscious. 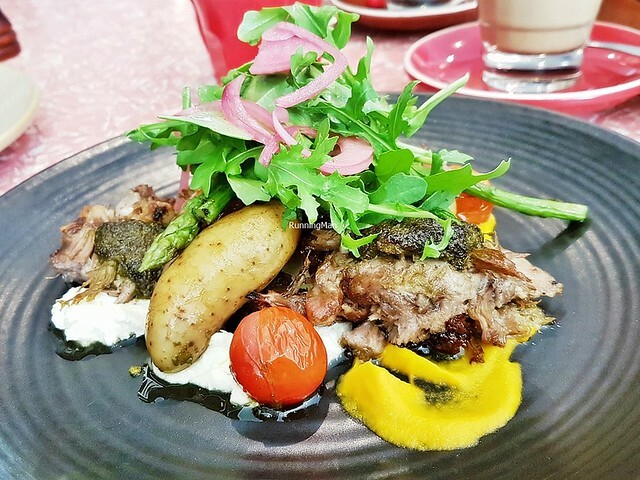 Succulent milk-fed lamb is a speciality of the island, and the Lamb Salad has ample slices of moist, gamey savoury lamb meat, which are slow-braised till tender. Nicely grilled with a smoky aroma. 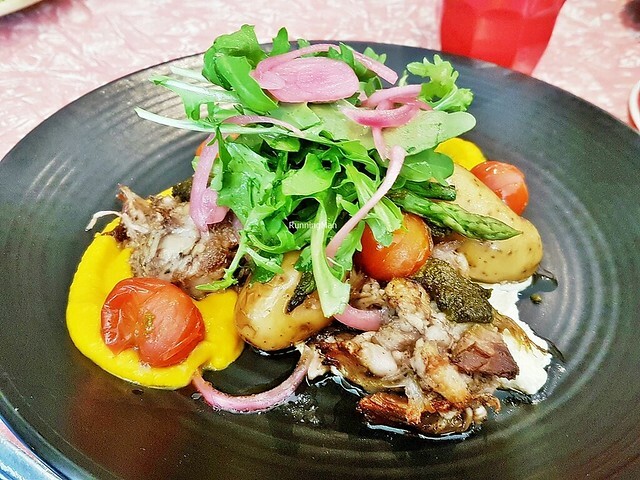 Plated with creamy sweet carrot puree, smoky crunchy vegetal roasted asparagus, soft savoury salty confit potatoes, juicy sweet cherry tomatoes, sharp sour pickled red onions, fresh vegetal wild rocket leaves / arugula, and creamy whipped feta cheese. The lamb has been marinated in chermoula, a thick herb and spice marinade which includes garlic, cumin, coriander, oil, lemon juice, salt, and pepper, giving it a rich earthy herbal spicy flavour. 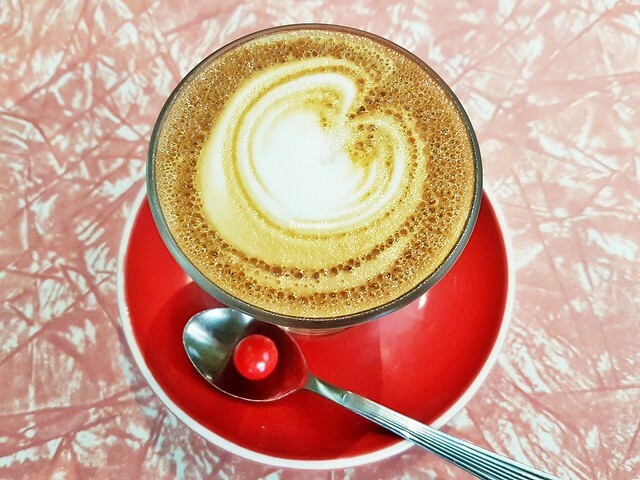 You can pretty much get a good Latte anywhere in the city, and it's a common drink ordered throughout the day. 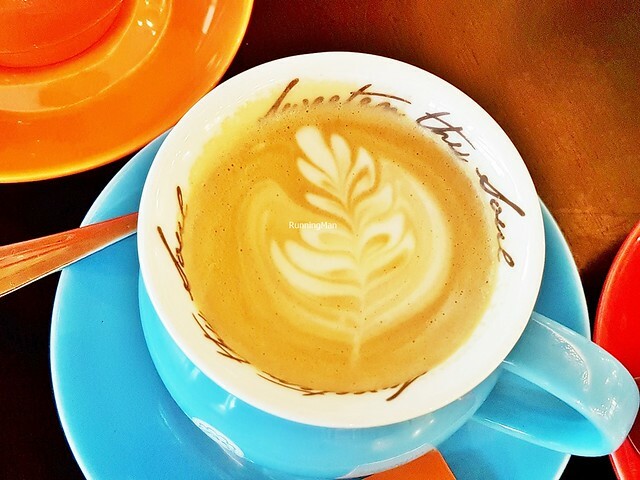 Nearly all places use locally roasted coffee beans here. 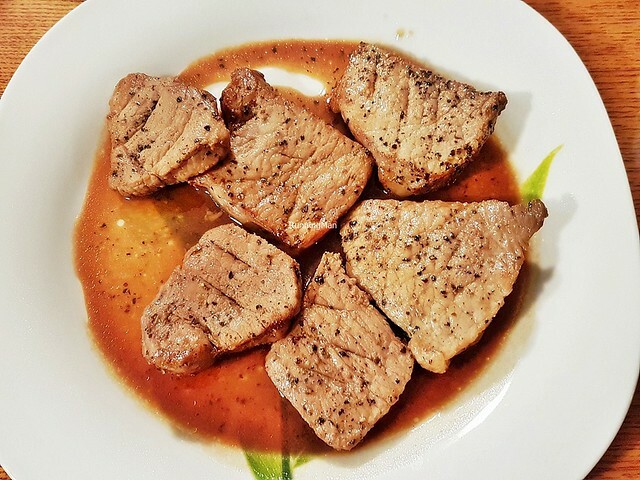 The Pork Loin here is thick and tender, savoury sweet in flavour, so clean-tasting. 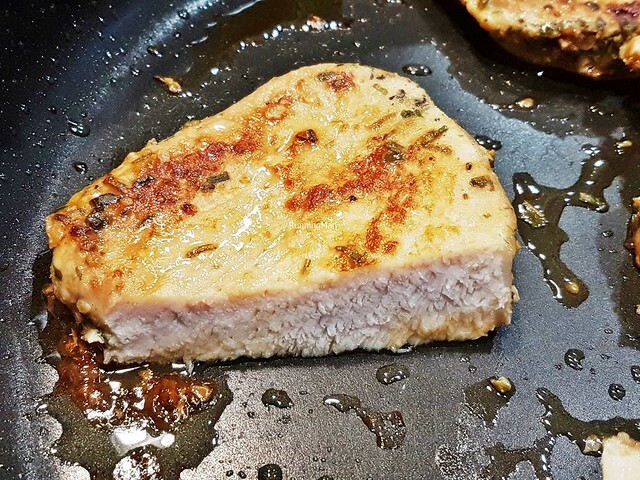 It's rarely eaten on its own, or even with a simple sprinkling of salt and pepper, instead the more common way of eating pork here is to marinade it. 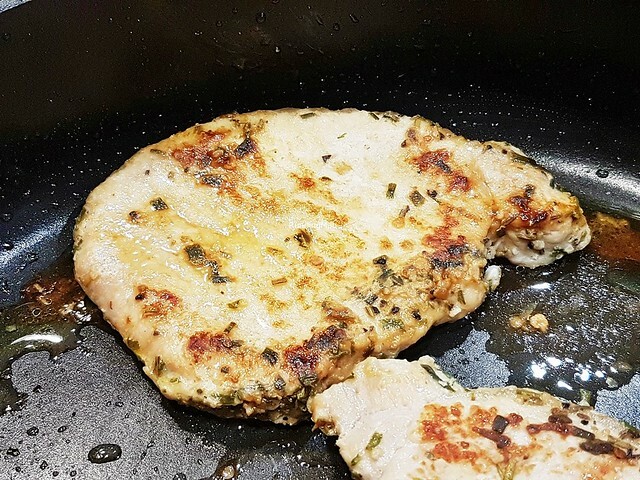 The Pork Loin, Lemon & Thyme Marinated is among the more popular options, and result in the meat having a fresh sweet sour herbal flavour which is appetizing. A common method to cook chicken here is to roast it in a rotisserie. 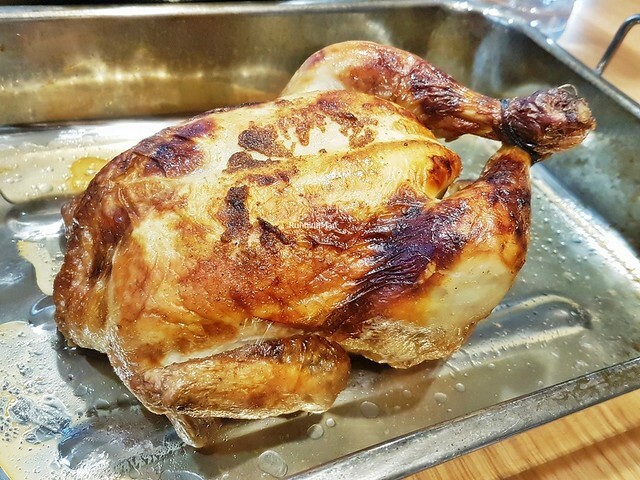 The Roast Chicken, Rosemary & Thyme Stuffed takes on the fresh herbal flavours of the rosemary and thyme herbs, imparting the tender juicy chicken meat with its aroma. 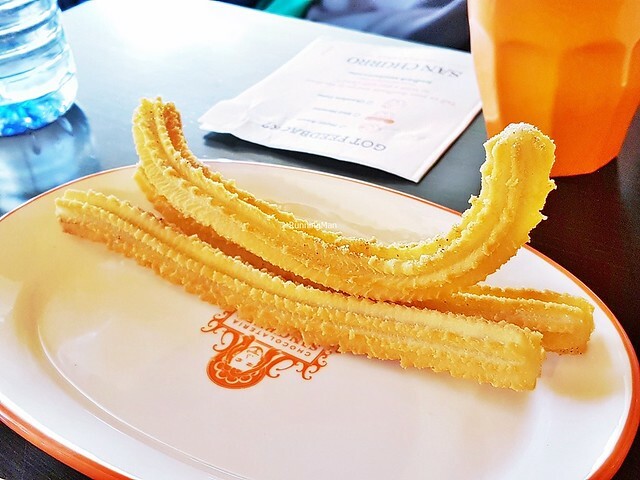 Each bite is clean-tasting, with notes of savoury sweet salty herbal. As the whole chicken is large, this is normally shared with a group for communal dining. The Salmon fish is a common farmed fish here, making this fairly affordable on a day-to-day basis. 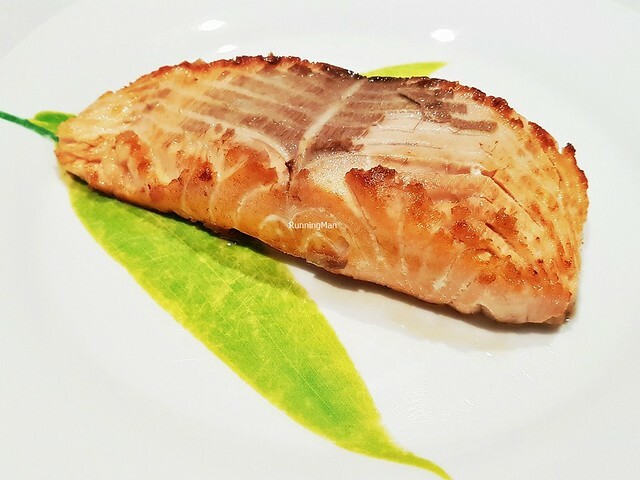 The Salmon Fish Fillet, Pan-Fried was cooked till the skin turned crisp, while the flesh still has a nice medium pink colour, with a tender and moist texture. Sprinkle a little salt over to complement the natural savoury sweet flavour of the salmon fish meat. The Salmon Sausage is a regional speciality, and making it requires firm, oily flesh fish such as salmon or trout. 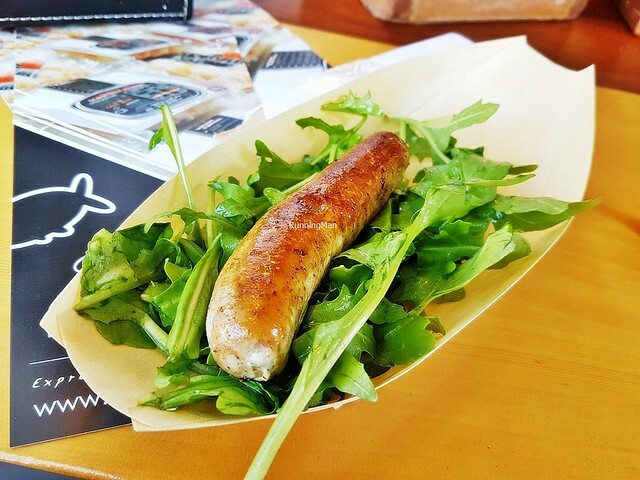 This tightly packed, savoury sweet, meaty fish sausage is served on a bed of fresh and crunchy vegetal wild rocket leaves / arugula, and dressed simply with mayonnaise. There is an option to have it stuffed into a hotdog bun as well. 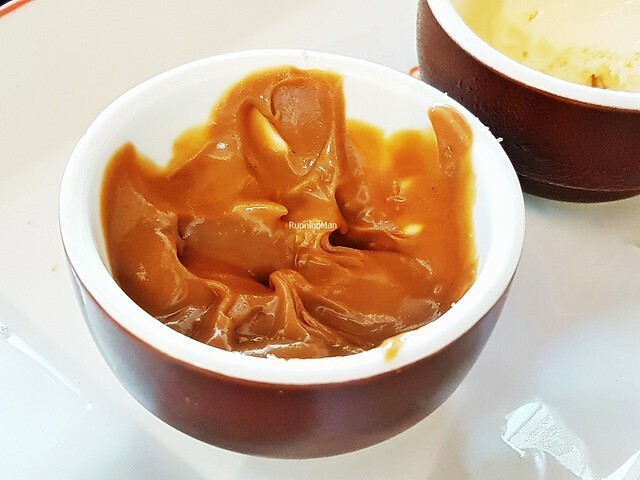 The Salted Caramel dipping sauce is served alongside desserts, and is sticky and creamy smooth in texture. Bold sweet salty flavour, makes you crave more. 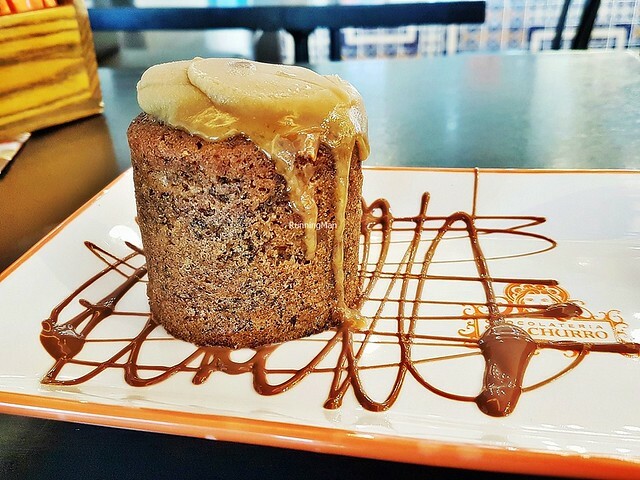 The Salted Caramel Volcano Cake has a buttery, crumbly, moist and soft texture, with a lovely sweet flavour. 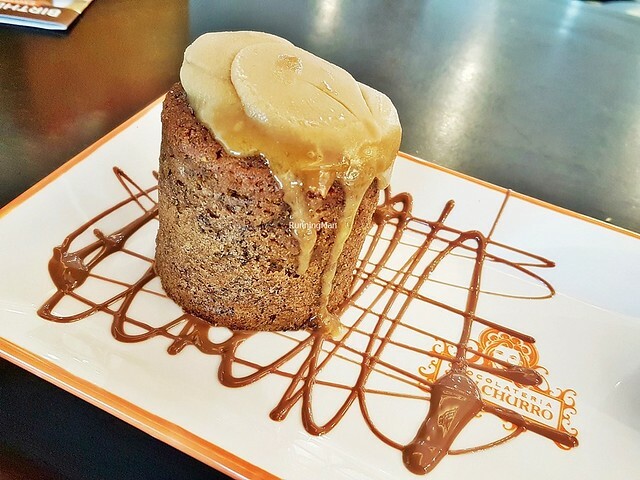 A molten core of rich salted caramel, with its salty savoury sweet notes, bursts forth when this dessert cake is cut. Served with a scoop of creamy vanilla ice cream, which helps alleviate the richness of this dessert. 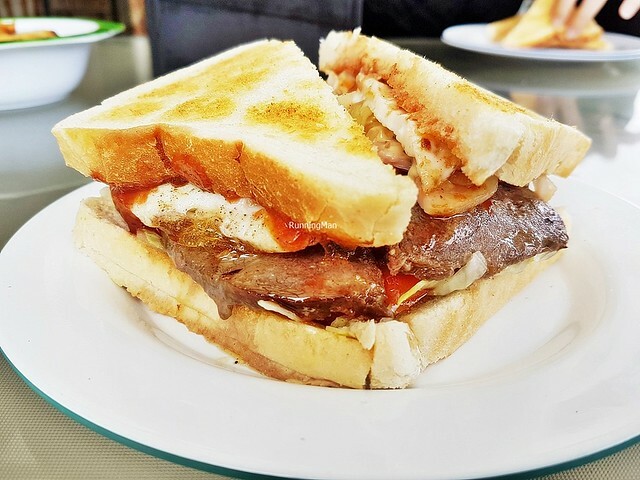 The Steak Sandwich is a filling meal, featuring a large yet tender slab of grilled beef sirloin steak, savoury and meaty in flavour, sandwiched between crisp toasted and buttered white bread. 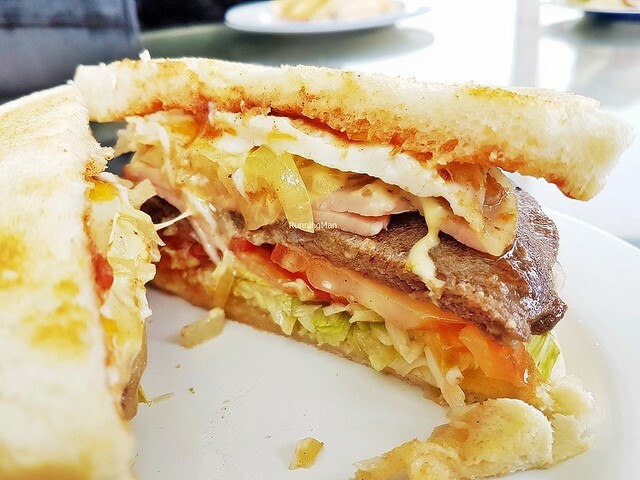 To bulk up the sandwich, vegetables such as tomatoes and lettuce are added, along with ham or bacon, tomato ketchup, and a fried egg. 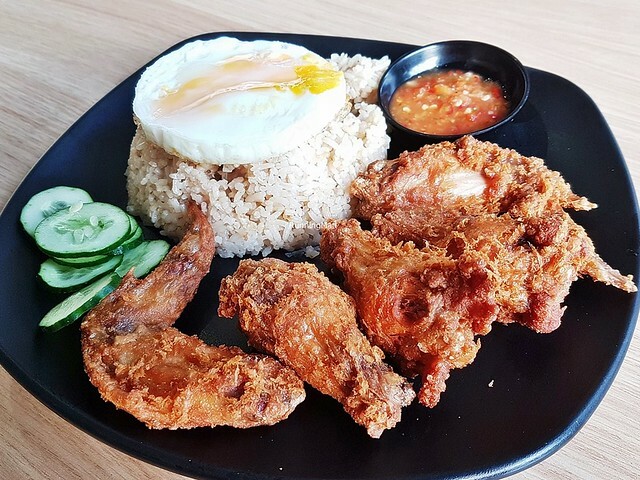 Each bite is juicy crunchy tender in texture, with flavours of sweet savoury salty. Sometimes, gooey melted cheddar cheese is added. 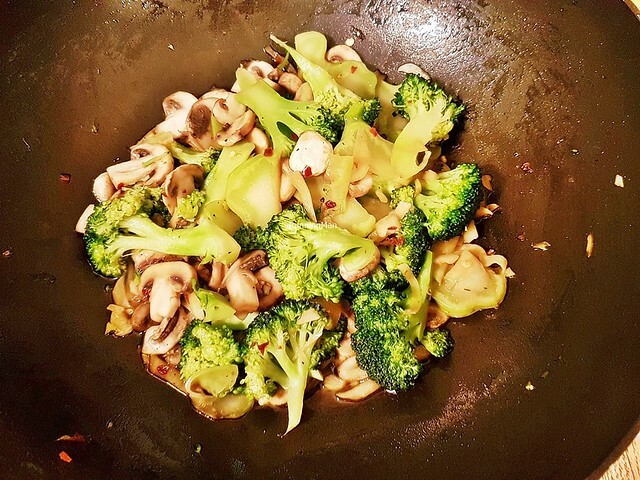 The Stir-Fry Mixed Vegetables are a popular Asian side dish, and usually features a medley of various vegetables stir-fried quickly in a base of ginger, garlic, light soy sauce, and vegetable oil. It can include some or all of the following; potatoes, string beans, carrots, button mushrooms, shiitake mushrooms, zucchini, cabbage, broccoli, white onions, red onions, bean sprouts, bell peppers / capsicum, water chestnuts, or snow peas. 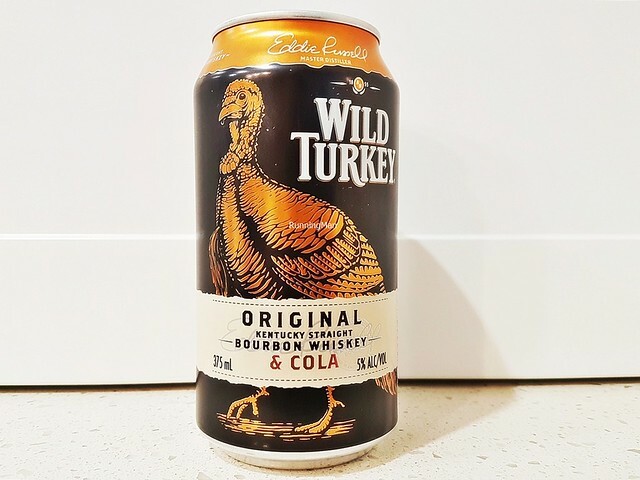 The Wild Turkey Bourbon Whisky & Cola is an American bourbon whisky and carbonated cola soft drink premix, brewed by the Wild Turkey Distilling Co. of Campari Group, in Lawrenceburg, Anderson County, Kentucky, United States Of America. It has a clear, light amber brown colour, with aromas and tastes of orange, oak wood, smoke, and liquorice. The body is smooth, clean, and dry, with a lingering herbal sweet spice flavour. It's said to have been created during World War II when soldiers mixed rations of Bourbon / Tennessee whisky, with rations of Coca-Cola soft drinks. 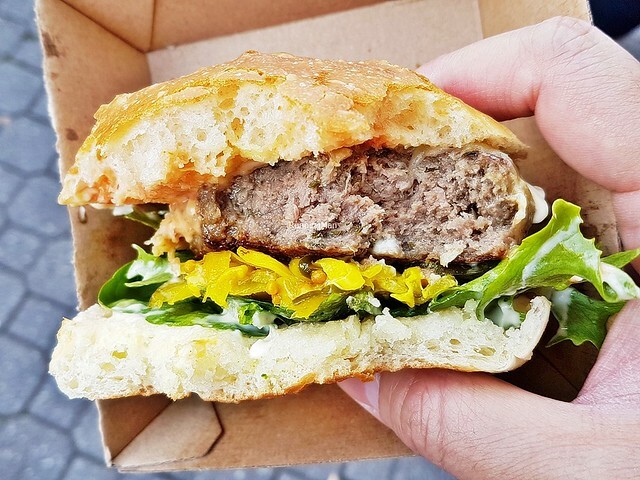 A novel, unique creation, the Wallaby Burger features a thick and juicy slab of wallaby meat patty. 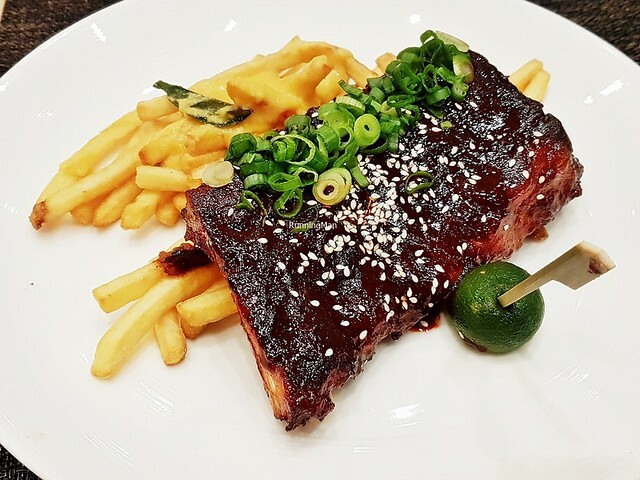 Texture is soft and tender, more so than beef, with a light savoury salty flavour that is slightly gamey. Sandwiched between fluffy soft burger buns, along with lettuce, mayonnaise, tomato, pickled gherkins, tomato ketchup, and cheddar cheese. 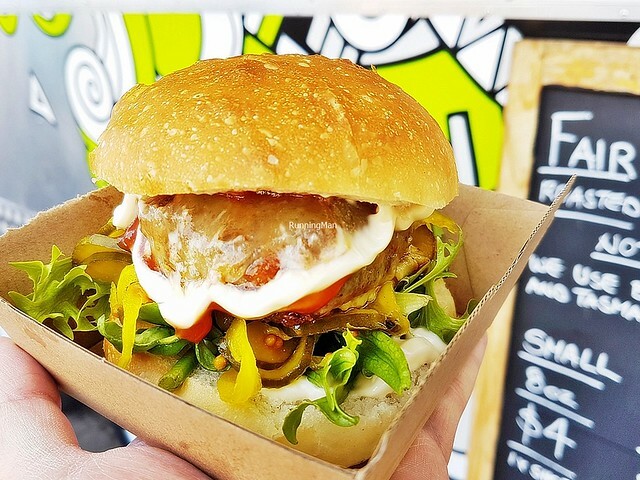 Each bite gets you the bold meaty savoury salty flavours of the wallaby meat patty, the crunch and vegetal sweet flavours of the vegetables, and the sharp sour tartness of the pickles. 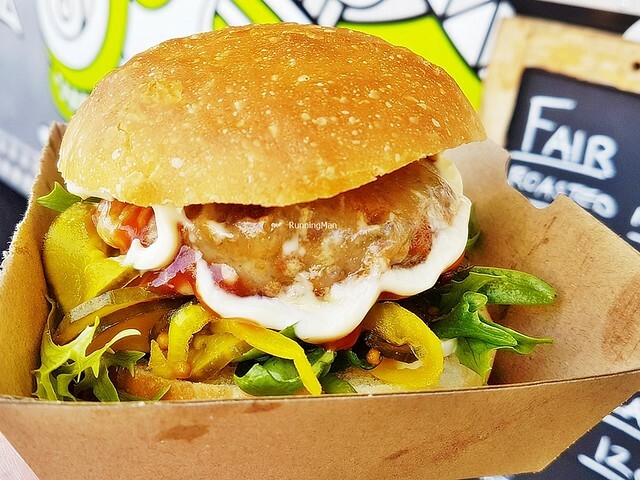 Solid, messy burger, completely delicious.